Mercedes G500 Ignition Wires Kit. Home>>Products>>W463>>Engine>>W463 Ignition Wires Kit G500. 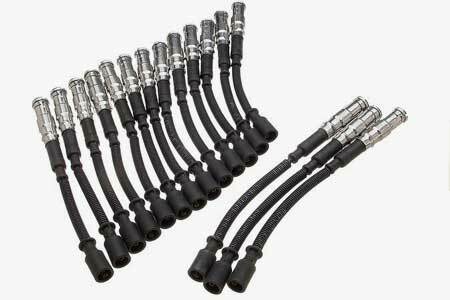 Mercedes G-Class G500 set of 16 ignition wires. This kit made by BERU (OEM) in Germany.